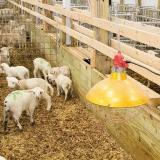 High-output heater for lambing pens, chicken coops or horse stables. Not recommended for use in chick brooders. Built-in “kill switch” turns the unit off if an unsafe angle occurs. So if it falls or is smashed, the heater is immediately disabled. 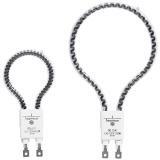 Protects your buildings, livestock, poultry and pets. Carbon fiber bulbs have a very long life and are efficient—98% of watts become heat. Unique internal tilt switch turns the unit off if an unsafe angle (greater than 30°) is reached. High-output carbon fiber bulbs produce 4-6 times more heat than conventional bulbs. Cooling fins reduce heat build-up around electronic controls. Included reflecting cone directs heat downward toward livestock. Wire grill prevents animals or birds from contacting bulbs. 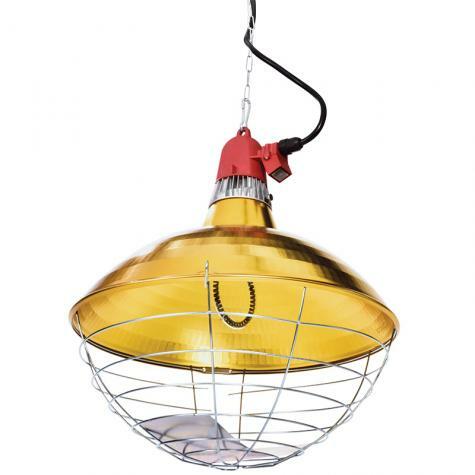 Note: Even though we find our heaters safer than common metal lamps, we still take every precaution to reduce fire risk. Secure the lamp several feet above the ground where it cannot be jostled by livestock. Due to the high heat output of these units, we recommend placing them higher (further away from the ground or animals) than conventional heat lamps. This will allow the heat to disperse over a larger area and prevents “hot-spots” from forming. Do not enclose in barrels or other similar enclosed locations. They heat must be able to move away from the heating unit. When installing new bulbs, be sure to handle the bulb with a cloth or covering. This prevents oil transfer from your hands to the bulb, which reduces its usable life. Replacement Bulbs (sold separately) MUST be matched to the correct heater. 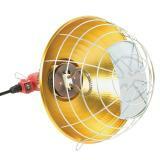 Use 600W heater with 600W bulb. 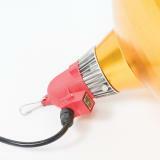 Use 1200W heater with 1200W bulb. A unique heater that turns off if an unsafe angle is reached. Used to warm lambs and goat kids. High heat output. These are great heaters! I purchased it from a friend who had an extra on hand originally purchased at Premier1. I hung it over my bottle lambs. The outside temperature was -20F and not much warmer in the shed they were housed in. The lambs stayed warm and comfortable and the milk self feeder didn’t freeze up at all. Kept an 8x8 pen warmed nicely for the lambs. I’m glad I had it on hand this year! Just bought two more if these lamps, for a total of 5. We use them on our pigs. Love that they have a on/off switch, and that if they get tilted to one side they automatically turn off. We’ve owned a couple for over a year and the original coil is still going strong. It has been so cold here in Michigan, this heat source has really saved my meat chicken project. It keeps their coop nice and toasty when the temps get down in the twenties at night. It was quite easy to assemble. Amazing heat lamps. The whole barn feels warmer. This is the most awesome heater. 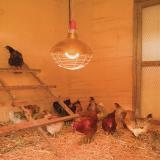 I have 1 in both of my coops and they generate loads of heat and are safe to use. I am buying another one.